The Doctor of Philosophy in learning sciences is a research degree intended to advance the understanding of how people learn by examining the context, approaches, and attributes of learners in a variety of learning environments. This program is designed for individuals who seek practical and theoretical training as tenure-track faculty, research scientists, developers, instructional designers and practitioners in professional, non-profit and academic settings. Our world-class faculty have expertise in a broad range of topics related to learning technologies, educational psychology, and advanced research methodologies. Students within the learning sciences program may seek answers to questions regarding best strategies for ensuring that students excel across a variety of subject domains. They may explore the underlying processes that support learning, the multiple contextual and social influences on learners, the use of digital media to accomplish cognitive tasks or create innovative environments for learning, and the diversity of methods for systematically studying complex learning in a variety of settings. Graduates may pursue employment in higher education, Fortune 500 companies, school settings, the military or a host of other industries, working in research and development, school administration, curriculum design, program evaluation, assessment design, or digital media and game development. The interdisciplinary nature of the learning sciences Ph.D. program offers students flexibility to customize a program of study tailored to meet their learning or career goals. Our graduate program builds on the rich experiences and expertise of faculty and students to provide an educational environment in which both groups share in research, exploration and inquiry. The result of this synergy is impact — on our community and beyond. apply leadership skills in areas such as academia, business, government or health care. The Learning Sciences doctoral program admits students each fall. Only complete applications are considered for admission. To ensure consideration for an assistantship or University Fellowship, applicants are encouraged to apply by the priority deadline. A master's degree is preferred, but not required. Master's applicants with a GPA of 3.5 on 4.0 scale; bachelor's degree with a 3.0 on a 4.0 scale. GPA exceptions are considered for applicants with extremely rigorous academic programs. Test of English as a Foreign Language (TOEFL) scores for applicants whose native language is not English. In addition to the application materials, students may be required to participate in an on-campus or telephone interview. Interviews are typically conducted in February and May. Please see the Learning Sciences Graduate Student Handbook for more information. Cognate courses will be selected from the following programs: Architecture; Communication Studies; Computer Science; Digital Production Arts; Education; Early Childhood Education; Elementary Education; Educational Foundations; Educational Leadership; Literacy; Middle Level Education; Secondary Education; Special Education; Family and Community Studies; Graphic Communications; Health, Education, and Human Development; Human-Centered Computing; Psychology; Rhetoric, Communication, and Information Design; and Sociology. 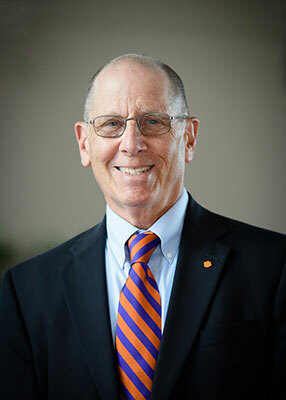 Dave Barrett, Alumni Distinguished Professor of Education and Human Development, has been at Clemson since 1986. Previous appointments are Laboratory of Developmental Psychology, National Institute of Mental Health (1974-1980) and Harvard Medical School/Children’s Hospital, Boston (1980-1986). Dr. Barrett’s research has been published in Child Development, Developmental Psychology, Pediatrics, American Journal of Clinical Nutrition, Journal of Emotional and Behavioral Disorders, Remedial and Special Education, and Teaching and Teacher Education as well as in other journals. Dr. Barrett is Associate Editor of Journal of Disability Policy Studies. A licensed psychologist, Dr. Barrett has served as Chair of the South Carolina Board of Examiners in Psychology (1996-2003) and member of the Item Development Committee of the Association of State and Provincial Psychology Boards (2004-2013). Heather R. Brooker (Ph.D., Clemson University) is a lecturer of educational psychology and assessment at Clemson University. Heather teaches educational psychology, classroom assessment, learning and motivation in context, and contemporary issues in assessment. Dr. Brooker’s research and service interests are in the relationship between assessment and student engagement and reflection within a backward design approach to instructional planning. In particular, how these relationships can guide and promote the use of Universal Design principles and differentiated instructional practices in the classroom. 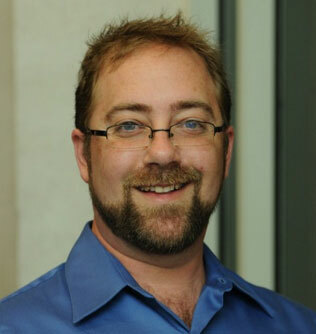 D. Matthew Boyer (Ph.D, Michigan State University) is an assistant professor of digital media and learning at Clemson. 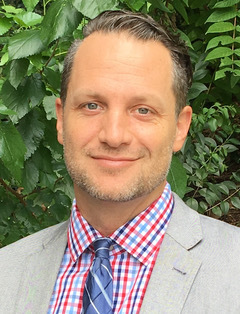 Matthew teaches an undergraduate teacher education course, Foundations of Digital Media and Learning, and graduate courses in qualitative research methodology and the learning sciences, including game-based learning research, design and development. As a committed generalist, his research integrates a range of academic concepts and areas of study. His current research projects include work with game-based learning, learning analytics, professional learning and learning environments, which are all seen in connection with digital media. He is interested in mediated learning: how we use digital tools to better connect to information and communicate with others in the process of learning. Eliza Gallagher (Ph.D., Clemson University) is an assistant professor of engineering and science education, education and human development, and mathematical sciences at Clemson University. Eliza teaches graduate research methods courses in two departments, and math courses for preservice elementary and secondary teachers in the third department. Her research includes undergraduate mathematical cognition, instructional practice to support retention of STEM-intending students, and the development of teacher identity among STEM graduate teaching assistants. She has two current NSF-funded projects related to mathematical preparation for success in STEM degrees. Since 2013, she has been a Digital Faculty Consultant and Subject Matter Expert for McGraw-Hill Higher Education, serving as a resource for mathematics department around the nation as they implement blended and hybrid instructional models for introductory collegiate mathematics courses. Danielle Herro (Ph.D., University of Wisconsin-Madison) is an Associate Professor of Digital Media and Learning in the Department of Education and Human Development. Dani teaches Learning Sciences Seminar courses, as well as courses on on social media, games and emerging technologies. At Clemson, she co-designed and opened Digital Media and Learning and Gaming Labs in the College of Education and co-directs at the College of Education’s STEAM initiative. Her current research interests involve exploring the efficacy of teacher professional development towards integrating digital media, ways to foster computational thinking practices in adolescents, game-based learning, and STEAM instruction and learning in schools. She has more than 20 published articles in journals such as Journal of Research on Technology in Education (JRTE), the Journal of Digital Learning in Teacher Education (JDLTE), Theory into Practice, TechTrends, Professional Development in Education (PDE), School Science and Mathematics (SSM), and Journal of Computers in Mathematics and Science Teaching, among others. She serves on the editorial review board for the Journal of Technology and Teacher Education and JDLTE, and is the lead editor for a book series on digital media and learning. Faiza M. Jamil (Ph.D., University of Virginia) is an assistant professor of child development at Clemson University and the founder of the Child Learning and Development Lab. Her research follows two complementary strands: 1) understanding the underlying psychological processes – cognitive, social, and emotional – that influence teachers’ classroom behaviors and career decisions, and 2) understanding the ways in which teacher-child interactions influence children’s learning and development. More specifically, Dr. Jamil conducts research that leverages her expertise in measurement, assessment, and professional development to better understand and improve the educational experiences of teachers and students within these two broad strands. Dr. Jamil teaches courses related to human development in Clemson’s Learning Sciences Doctoral Program and Undergraduate Teacher Education Program, to which she brings her own experiences as a K-12 teacher in three countries. During her time at Clemson, she has published in journals such as Elementary School Journal, Child Development, Early Childhood Research Quarterly, and Teaching and Teacher Education. She also serves on the editorial review panel of The Education Forum. Matthew J. Madison (Ph.D., University of Georgia) is an assistant professor of quantitative methodology at Clemson University. He joined Clemson University in 2018 and will teach courses in statistics and research methodology. Dr. Madison’s research focuses on the development and application of psychometric models in educational contexts, with a particular focus on diagnostic measurement models. He has substantive interests in mathematics and science education. His recent research has focused on longitudinal psychometrics methods for assessing growth and evaluating instructional intervention effects. He has published in journals such as Journal of Educational Measurement, International Journal of Testing, Educational and Psychological Measurement, and has a forthcoming article in Psychometrika. Meihua Qian is an assistant professor of educational psychology at Clemson University. She received her Ph.D. in educational psychology and inquiry methodology (dual majors) from Indiana University at Bloomington. She joined Clemson University in 2013, and teaches courses on educational psychology, assessment and statistics. Her current research focuses on creativity assessment, gifted education, technology, descriptive and explanatory multi-level item response theory models, and multiple level modeling. She has published her research in several highly ranked journals, including Creativity Research Journal, Psychology of Aesthetics, Creativity and the Arts (PACA), Journal of Creative Behavior, Journal of Psychoeducational Assessment and Psychology and Marketing. With her expertise in creativity and statistics, she has been serving as a reviewer for PACA since 2011. She is the recipient of numerous fellowships and awards including several research fellowships from Indiana University and Travel Award from the American Psychological Association. In 2013, she received the National Association for Gifted Children (NAGC) Outstanding Doctoral Student Award. This highly competitive award recognizes recent graduates of programs in gifted education, who have demonstrated exemplary work in research, publications and educational service, and have outstanding potential for future scholarship. Luke J. Rapa (Ph.D., Michigan State University) is an assistant professor of adolescent development at Clemson University. Rapa's research rests at the intersection of developmental and educational psychologies. Broadly, Rapa studies how contextual, sociocultural, and sociopolitical factors—including socioeconomic disadvantage, structural constraints, and societal inequality—shape key developmental and psychological processes and promote or constrain adolescents’ development and academic success. More specifically, Rapa's program of research examines (1) how adolescents critically analyze societal inequities and develop the motivation and agency to redress such inequities, or develop “critical consciousness”; (2) how youth navigate structural constraints or marginalizing systems (e.g., institutional racism, discrimination, stereotypes in school) to achieve academic success and well-being; and (3) how social identity threats shape development and how and social-psychological interventions can bolster academic performance and promote well-being. Rapa’s research has been published in Child Development, Child Development Perspectives, The Urban Review, and Youth & Society, and he has a forthcoming article to be published in Developmental Psychology. Debi Switzer is a professor of education at Clemson University. She teaches educational psychology courses, including learning and motivation theory, and tests and measurements. She spent the first nine years of her career as a secondary mathematics and computer science teacher. She received her Ph.D. in educational psychology (quantitative and evaluative research methodology) from the University of Illinois Urbana. She has been at Clemson University since 1990. In 2000 she was named a Distinguished Professor by the South Carolina Commission on Higher Education, and in 2003 she received the Prince Award for Innovation in Teaching presented by the Clemson University student government. She served as a consulting editor for the Journal of Educational Research for two terms. In research projects she has collaborated with faculty in engineering, psychology, education, recreation, counseling, public health and business, supplying expertise in assessment and experimental design. In 2000, she received the Harold E. Mitzel Award for Meritorious Contribution to Educational Practice Through Research. Her interests in motivation, assessment and research design include the instructional benefits of virtual worlds and other technologies. Nicole Bannister (Ph.D., University of Washington) is an assistant professor of mathematics education jointly appointed in the Colleges of Education and Science at Clemson University. Nicole teaches content and education courses for pre-service mathematics teachers and doctoral seminar courses in learning sciences and mathematics education. Nicole’s research addresses how mathematics teachers develop an asset-orientation to the profession, specifically focusing on communities of practice as robust settings for learning strengths-based practices. Her research demonstrates that teacher learning is better understood from sociocultural perspectives and thus interpreted as a process of becoming a member of a community that involves transformation of both of person and social world. Nicole’s research has been published in venues such as Journal of the Learning Sciences (JLS), International Journal of Computer-Supported Collaborative Learning (ijCSCL), Journal of Technology and Teacher Education (JTATE), Journal for Research in Mathematics Education (JRME), Cultural Studies in Science Education (CSSE), among others. Nicole received special recognition in 2014 as an AMTEService, Teaching, and Research (STaR)Fellow, was the 2012-2013 recipient of the School of Education Excellence in Teaching Award, and is consistently acknowledged by teachers and administrators in local partnership schools for excellence in prospective preparation and in-service teacher professional development. Mikel Cole's areas of interest include English language learners in K-12 settings, preparation of teachers to work with culturally and linguistically diverse students, and the intersection of language policy and practice in schools and classrooms. He is an associate professor in literacy, language and culture. Alison E. Leonard, Associate Professor of Arts and Creativity, teaches courses on arts education and qualitative research. You will most often find Dr. Leonard in Godfrey Hall in the College of Education’s Arts and Creativity Lab. Her research interests involve 1) the role of the arts in teacher education, 2) dance and embodied forms of inquiry, and 3) issues of community, equity, and social justice in schools. She recently worked on a project called VEnvI (Virtual Environment Interactions, sponsored in part by the National Science Foundation, that created a virtual platform to teach computational thinking to upper elementary and middle school students using dance choreography. This work has been publicized in various journals and conference proceedings, such as Technology, Knowledge, and Learning, the Journal of Language and Literacy Education, SIGCSE, IEEE VR, among others, also receiving national and international press. In a “former life," she worked as an arts/dance instructor and danced professionally. She still dances today and believes that we are all dancers—just watch her TEDxYouth talk…but these days she is usually dancing and typing at her laptop. Ryan Visser is a faculty member of Digital Media and Learning (DML) within the College of Education at Clemson University. Ryan serves as Director of the SC Center of DML and teaches DML and 21st Century literacies. Ryan's research interests include examining the relationship between technology and cognition, social media and its impact on education, the technology competencies of teacher educators, and how artificial intelligence can be used in qualitative research. Since 2007, Adobe has selected Ryan to be a member of their Adobe Educational Leader team, which is comprised of educators who are uniquely using technology in education. Phillip Wilder is an assistant professor in adolescent literacy at Clemson University. He received his Ph.D. in curriculum and instruction at the University of Illinois at Urbana-Champaign in 2013. While at Illinois from 2007-2013, his work in a school-university partnership through the Center for Education in Small Urban Communities used collaborative practitioner inquiry to design responsive teaching practices, which expand notions of literacy and learning in secondary schools. 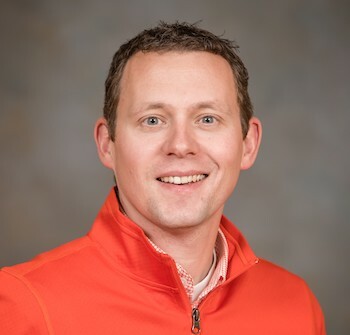 Now at Clemson University, his primary research involves partnering with schools to improve responsive teaching practices and the disciplinary literacies of adolescents. Dr. Melissa Vogel is an anthropology professor with dual specializations in applied anthropology and Latin American archaeology. Dr. Vogel is committed to taking anthropology out of the ivory tower, demonstrating its relevance to everyday life, and using it to improve cross-cultural understanding. In her applied work, she has conducted consumer research for several brands, and evaluated after school programming for Los Angeles Unified School District. Gender is one of Dr. Vogel’s research specialties and a focus of her activism, thus she serves as an Associate Director of the Tigers ADVANCE program, a National Science Foundation funded initiative to promote gender equity and inclusiveness among Clemson faculty. Dr. Vogel is also currently developing a Business Anthropology program that would give Clemson students the skills to succeed in the modern job market, in which global knowledge is a necessity. From 1999-2016, Dr. Vogel directed field research on the development of urbanism in prehistoric Peru, which is published in my two books: The Casma Capital City of El Purgatorio and Frontier Life in Ancient Peru. Dr. Vogel has also published 16 articles in academic journals and books. June Pilcher’s, Ph.D., research interests include the effects of stress and fatigue in educational and workplace settings. She is interested in many types of potential stress in modern society including sleep loss, poor sleep habits, cold or hot temperature exposure, lack of self-regulation and sedentary behavior. Her research team has recently started a FitDesk (stationary bicycle with a desk top) initiative on campus that is expanding to K-12 educational settings where students, faculty and staff can use the FitDesk to remain active while working. Please see Pilcher’s web page for more information/publications. Kelly Caine is director of the Humans and Technology Lab and assistant professor in the Human-Centered Computing Division of the School of Computing at Clemson University. Her current research interests include the psychology of privacy, and usable privacy and security with a focus on human factors issues related to designing privacy-enhanced systems. She is the recipient of grants the National Science Foundation, the Institute for Information Infrastructure Protection (I3P) and the Office of the National Coordinator for Health IT, and awards from the National Academy of Engineering, Institute of Medicine, Product Design and Marketing Association, American Public Health Association and GVU Center. Prior to joining Clemson, she was principal research scientist in the School of Computing at Indiana University and a UX researcher at Google. She holds degrees from the University of South Carolina (B.A.) and the Georgia Institute of Technology (M.S. and Ph.D.). Suzanne Edlein’s career in the printing industry has been spent predominantly in teaching. She is an alumni of the Clemson graphic communications program, graduating in 1991, after which she continued her work at Clemson for six years running technical symposia, conducting industry research and teaching hands-on print training classes to industry clients through the Print/Con Center and the GC Industry Training Program. She spent the following seven years as a training specialist and consultant to the flexography print segment. Suzanne returned to Clemson as a visiting lecturer, working primarily as lead instructor in the introductory graphic communications classes where she gives students the opportunity to experience screen printing, lithography and flexography first hand. Sam T. Ingram, Ph.D., is a professor of graphic communications (GC) and department chair at Clemson University, where he has been a faculty member for 28 years. He received his undergraduate B.S. degree from Appalachian State University in 1978. He received his doctorate from Clemson University in 1985. He served as chair of the graphic communication department from 2002 to 2015. His primary responsibilities at Clemson are administration for the department, teaching, research and interaction with the printing industry. Ingram teaches all printing processes with a special focus in color reproduction, color science, process control and production workflow. Ingram was a primary planner in the development of the Sonoco Institute of Packaging Design and Graphics on the Clemson University campus. He has held membership in a number of technical and trade associations, including the Technical Association of the Graphic Arts (TAGA), Flexographic Technical Association, Gravure Association of America, Graphic Arts Technical Foundation, Screen Graphics and Imaging Association, National Association of Printing Leadership, Printing Industries of America, Printing Industries of the Carolinas, Packaging and Label Gravure Association, Southeastern Prepress Association and the International Graphic Arts Education Association. He is a member and co-chair of the Flexographic Quality Consortium Executive Committee. Ingram has served two terms on the board of directors for TAGA and numerous technical committees in other organizations. He received the Mentor Award from the Screen Printing Association International (now SGIA) in 1988. Ingram’s research in color measurement, color management systems and print process modeling continues. He has co-authored five TAGA technical papers detailing color reproduction work. PIA/GATF published his book, A Screen Printing Primer, in 1999. He was presented the President’s Award by the FFTA in 2007. The Academy of Screen Printing Technology elected Ingram to membership in 2003. He has participated in the United States Technical Advisory Group since 1997 (effort regarding ANSI and ISO print standards). Ingram, with three Clemson colleagues, was awarded U.S. Patent 8,691,116, April 8, 2014–Conducting Polymer Ink. Nona Woolbright, Ph.D., has been a faculty member at Clemson University since 2002 and has over 20 total years of teaching experience. She is currently lead instructor for Senior Seminar and Advanced Flexography. She is also co-instructor for Computer Art and CAD Foundations. Over the past six years, Woolbright has coordinated the Phoenix Challenge college team – an international competition for flexographic printing where her team has won multiple awards. Recently, she developed the department’s first study abroad program which it is now in it’s third successful year. Past classes she has taught includes Planning and Controlling Printing Functions and Introduction to Graphic Communications. She has also been a judge for the Flexographic Technical Association (FTA), as well as served on several FTA committees. Woolbright is also the department’s graduate studies coordinator and has been appointed to a number of other departmental and University-wide committees over the years. She has a strong interest in management and personnel practices for the printing industry, as well as developing creative problem solving techniques for teaching package printing and design. Joseph P. Mazer, Ph.D., is an assistant professor in the Department of Communication at Clemson University. He is also the director of the Social Media Listening Center, an interdisciplinary research lab and teaching facility that provides a platform to listen, measure and engage in more than 650 million sources of social media conversations across the web by capturing publicly available data from Facebook, Twitter, blogs, online communities and mainstream news outlets. His scholarly interests are in instructional communication, new communication technologies/social media, interpersonal/family communication and quantitative research methods. Mazer’s research has encompassed a range of topics including effective teacher communication behaviors, emotion in teaching and learning, teachers’ use of social media to engage students, college student academic support, effective communication practices between parents and teachers at the K-12 level, communication trait predictors of social media usage, and measurement and data analytic issues and trends in communication research. Mazer is listed among the top 1 percent of prolific scholars in the discipline of communication studies spanning 2007-2011, according to a study published in the October 2012 issue of Communication, a national journal published by the National Communication Association. His research has been recognized through top paper and panel awards from the National Communication Association and Central States Communication Association, as well as the Lightsey Fellowship and Dean’s Award for Excellence in Research from Clemson University’s College of Architecture, Arts and Humanities. He joins William Seiler and Melissa Beall as a member of the authorship team for Communication: Making Connections, an introductory communication course textbook (in its 9th edition) published by Pearson. He has received international, regional, University-wide and departmental recognition for outstanding teaching. Mazer is an active member of the National Communication Association and Central States Communication Association where he has held several leadership roles. Cynthia Haynes is Director of First-Year Composition and Professor of English. Her research interests are rhetoric, composition, multimodal pedagogy, virtual worlds, critical theory, computer games studies, serious design, and the rhetoric of war and terrorism. With Jan Rune Holmevik she co-chairs the RCID PhD program Serious Games Colloquium. Her book, The Home/Sick Phonebook: Addressing Rhetorics in the Age of Perpetual Conflict, is forthcoming in Oct 2016 from Southern Illinois University Press. Sean D. Williams, Ph.D., is professor of professional communication and Spiro Faculty Fellow at Clemson University where his research considers user experience design (UXD) and its implications for humanizing technology, specifically within startup businesses. His most recent research investigates the role that affective and design issues play in online usability and learning, particularly in 3D virtual worlds, and the possibilities for creating a more expansive communication practice in this new medium. He also publishes on communication issues for entrepreneurship strategy, manages multiple communication consulting and contracting projects and has been a co-founder of three ventures. His thoughts have appeared in trade magazines, trade journals, academic journals, professional books and academic books. Abby is a doctoral student in the learning sciences program, with an emphasis in STEAM (science, technology, engineering, art, & math) Education. Abby’s research interests include the impacts of STEAM Education on students and staff in K-12 settings. More specifically, Abby is interested in researching how administrators help facilitate a transition of their school to becoming a “STEAM” school. When Abby is not working on her doctoral studies she serves as an Executive Director to a local non-profit focused on Appalachian Arts and Culture. The non-profit includes a STEAM lab Abby has helped build, along with a Preschool serving 2, 3, and 4-year-olds. Amanda is a doctoral student in the learning sciences program with a focus on early childhood learning and development. 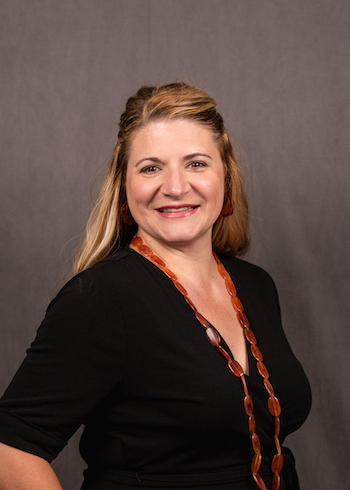 Amanda’s research interests include the role of parents and family in young children’s development of social/emotional skills in order to aid in school readiness and school success. Amanda’s current work as a research assistant addresses early childhood teachers’ professional learning and parent/teacher involvement in preschool children’s development. Amanda has five years prior experience as an early childhood teacher in Virginia and Pennsylvania. Cari is a doctoral student in learning sciences, interested in literacy, access to higher education, and the role of games and technology in learning. Cari has over twenty years of experience teaching general education English courses, with a focus on first-year composition curriculum design. She also has served students as a writing center director, academic coach, and academic advisor. She currently works supporting student learning and career development in Clemson University’s College of Architecture, Arts and Humanities. As a new student in the learning sciences program, Cari looks to develop research focused on increasing both access to and the quality of college education for student populations historically marginalized by higher education. DeOnte is a doctoral student in the learning sciences with an emphasis on human development through schooling. 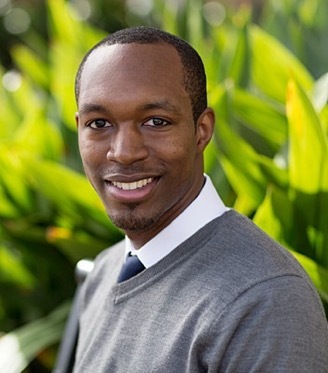 DeOnte’s research interests are the academic skill development and learning experiences of adolescents and emerging adults that identify as a person of color. Primarily this research is in the context of social learning environments at the collegiate level. DeOnte’s current work focuses on understanding the use of peer groups as academic support spaces for the development of self-regulated learning skills in black college students. Additionally, he works with peer mentoring programs that aide in the college transition for students of color which also supports his research agenda. DeOnte has prior experience working with adolescents through a high school college access program. Allyson Davis is the Associate Director of Online Faculty Development at Clemson Online. She has worked professionally in higher education since 2002. She has significant experience in providing professional development for faculty, online course development, online course review, student retention initiatives, and library services for online learners. Her teaching experience includes teaching online for three years as full-time faculty as well as teaching hybrid courses as adjunct faculty. Allyson earned a Bachelor of Arts in History from the University of West Georgia, a Master of Library and Information Studies from the University of North Carolina, Greensboro, and a Graduate Certificate in Higher Education Leadership from the University of South Carolina, Columbia. Her research interests include social media use of youth activists, how game play influences self-concept and identity, and faculty use and adoption of new technologies in learning environments. Anne Grant is a doctoral student in learning sciences with a focus on teacher education for academic librarians. Anne’s research interests include learning communities, professional development for librarians, and transformative learning. Anne has been a librarian at Clemson for 10 years and has been teaching in higher education for 17 years. She has a background in medieval history and library and information science. Shuyu is a doctoral student in the learning sciences program, interested in learning, motivation, and creativity. Shuyu’s current work focuses on creativity assessment and improving college students’ learning motivation. Shuyu has three years of prior experience teaching educational psychology and developmental psychology at the college level in China. Juan Kathy Li is a doctoral student in learning sciences with research interests in educational technology, game-based learning, and online education. Juan has nine years of experiences teaching English at a college level in China. She currently works on investigating the facilitative role of Massively Multiplayer Online Role-Playing Games (MMORPGs) for language acquisition. Additionally, she is working at Online Clemson assisting online instruction and learning. Georgia is a doctoral student in the learning sciences program with an emphasis on the development of military-connected students. 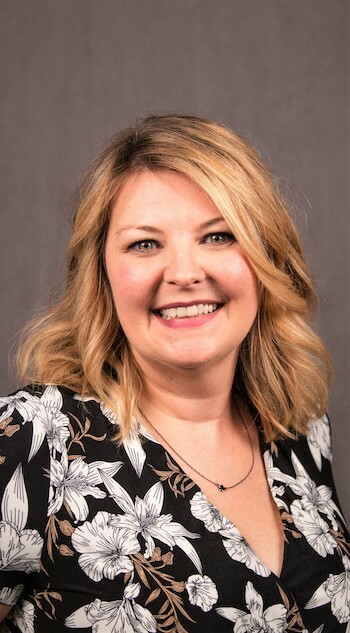 Primarily, her research is concentrated on military-connected K-12 students and their literacy development. Georgia currently works as a research assistant for the Special Education department helping with research in supporting K-12 and pre-service teachers in inclusive classrooms. Prior to graduate school, Georgia was an elementary school teacher in Virginia Beach and a reading teacher with the Institute of Reading Development. Joseph is a doctoral student in the learning sciences program. His research interests include assessment design as well as online learning communication. He currently works as a graduate assistant performing data assessment and also as a teaching assistant for assessment classes. He has 20 years of teaching experience in secondary mathematics. Abby is a doctoral student in the learning sciences program. Broadly, her research interests include intergenerational learning in informal settings, self-directed learning, and cultural influences on the learning process. Abby currently works as a graduate assistant for the General Engineering Learning Community (GELC), a program that supports first-year engineering students in their development of self-regulation and time management skills, effective learning strategies, and positive habits of mind. Prior to graduate school, Abby worked at Clemson's Academic Success Center as a student employee in course support programs while obtaining a B.A. in language and international trade with a minor in cultural anthropology. April Pelt is a doctoral student in the learning sciences program. Her research interests—which draw on her background in literary studies, feminist cultural studies, and online learning—include developing a feminist framework for instructional design, improving the quality of instructor and student engagement in online learning environments, and incorporating student-led digital media and makerspace projects as a mode of critical analysis in literature classrooms. In addition to her work in the learning sciences, April currently serves as a Digital Learning Strategist for Clemson Online and teaches courses on worldbuilding and imaginary friendships in fiction and film for Clemson’s Honors College. Samuel is a doctoral student in the learning sciences program with a focus on critical pedagogy. His research interests include educational linguistics, particularly as it relates to developing critical language awareness in marginalized language students, culturally sustaining pedagogies, and conceptualizations of democracy in education. Samuel's current work looks at the ways writing centers can orient themselves to promote critical language awareness in students and tutors through student-led, tutor-scaffolded participation. Prior to graduate school, Samuel served as a writing fellow for four semesters at his undergraduate university's writing center.